In London for Prince Charles and Diana’s wedding, Tamie Fraser recalls: "Some people in a yellow mini-minor drew alongside our car and noticing the Australian flag called out: 'Are you the Frasers?' And we nodded vigorously." 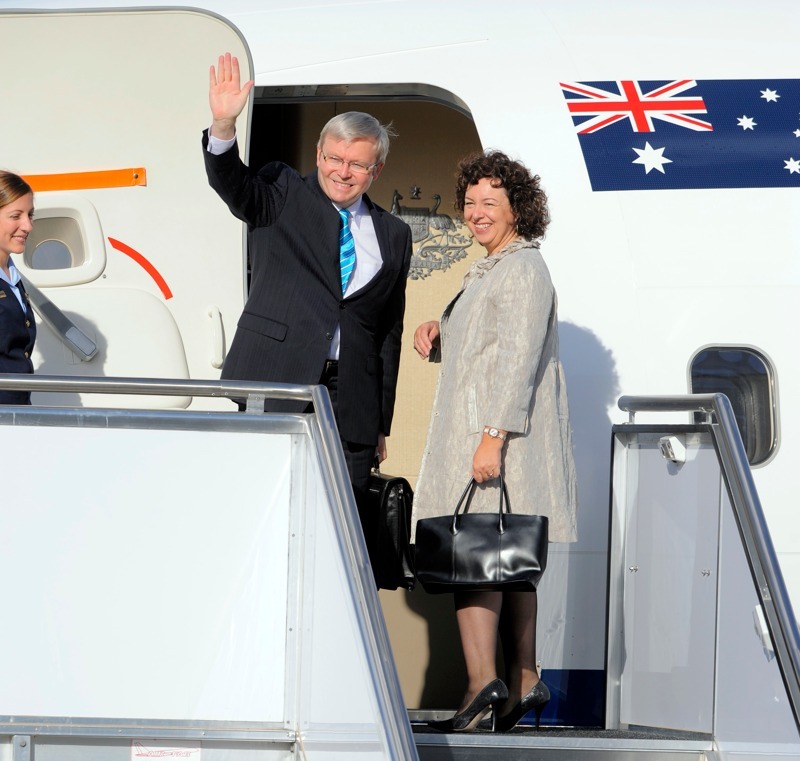 Prime Ministerial wives accompany their husbands on several international missions a year. As foreign policy objectives changed in the 1970s, itineraries became less focused on the United Kingdom. 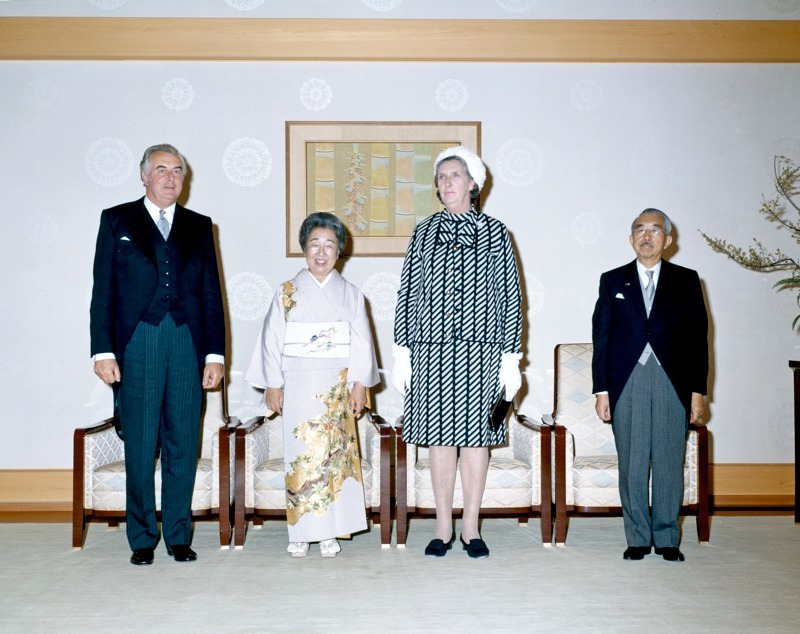 The Whitlams made the first Australian state visit to China in 1973. Cultural diplomacy, promoting Australia’s art, music, fashion and cinema, set another agenda for Prime Ministerial wives. Annita and Paul Keating travelled Asia widely developing trade and security relationships. The Howard years, post-September 11, built our nation’s strongest alliance with the USA in many decades. Janette and John Howard visited Washington on many occasions, in the process developing a personal friendship with US President George W Bush and the First Lady. Margaret Whitlam was the chair the Australian National Advisory Committee for International Women’s Year. She led the delegation to the International Women's Year conference in Mexico in 1974. 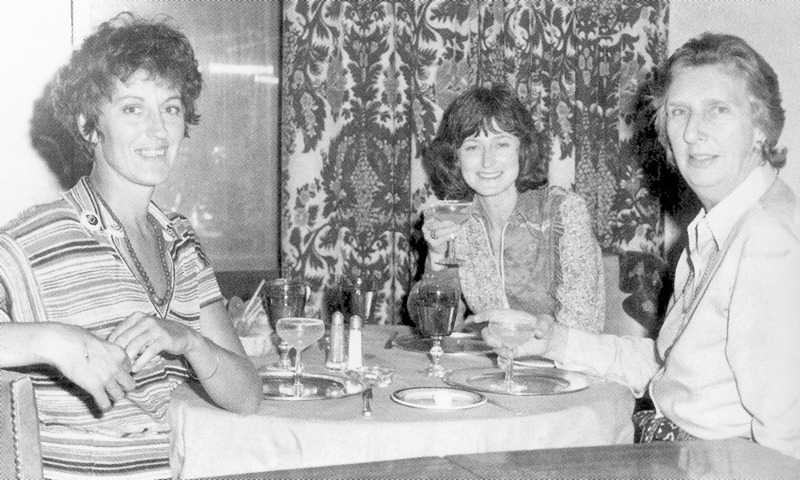 She is pictured here, sharing a meal during the conference with Germaine Greer, who she first met at the Lodge in 1972, and Susan Ryan (image courtesy of Margaret Whitlam). Margaret Whitlam felt that the role of Prime Minister’s wife in the 1970s was ‘mostly to be seen and not heard…rather like a child. You could be the hostess with the mostest, but that’s as far as it went. You didn’t really have opinions—or if you did you shouldn’t voice them’. When she became Prime Ministerial wife in December 1972, she refused to play the ‘silent partner’ role. Her strong character and willingness to give her opinion saw her became a personality in her own right, as well as a sought after columnist, guest speaker and, for a short period, TV presenter.